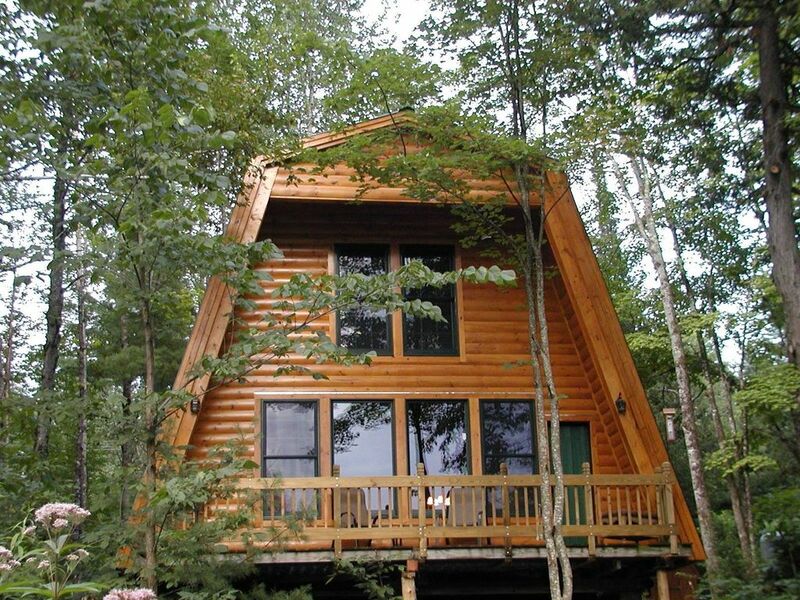 This (Newly Listed) year round cabin is in route to the famous Sugarloaf Ski Area, also offering snowmobiling, cross country skiing, hunting, fishing and kayaking on the pristine, mountain fed West Branch of the Carrabasset River. Enjoy a rustic cabin feel in a quiet and peaceful setting alongside the river. You'll find a full kitchen stocked with cookware/dinnerware, a large dining room table, and a front porch overlooking the river. Whatever the adventure you're planning for your time in the Carrabasset River/Sugarloaf area, this rustic cabin is the perfect place to come and unwind. The unique cottage is seventeen miles to the access road of Sugarloaf Mountain and 300 yards to the Narrow Gauge snowmobile trail system. You'll be able to access from the cabin yard, miles of scenic snowmobile and cross country routes in this north country, including those leading to the famous Rangeley area. Bring your snowshoes and blaze your own trails through this winter wonderland. Enjoy the abundance of wildlife, as you travel over these trails day and night. You'll find the whitetail deer, grouse, woodcock and bear hunting in your backyard, some of the best in the State. Road and mountain bikers find this scenic route unmatched. Retired Maine State Game Warden, active Master Maine Guide, ski instructor, snowmobiler, fly fisherman with a passionate love for the outdoors. The unique cottage is 17 miles from famous Sugarloaf Ski area entrance and 200 yards from the Narrow Gauge Snowmobile Trail. In the heart of fantastic cross country skiing trails, hunting and fishing opportunities. Two miles from downtown Kingfield with restaurants, coffee shop and ski shop. Famous Sugarloaf Mountain ski area. Winter views of Mountain range. Will provide linens for minimum 3 night stay. Keurig Individual Cup - tenants must bring their own preferred coffee, hot chocolate pre-filled cups for brewing. Outside deck overlooking the river. A perfect cabin for skiers with kids. Cozy! Clean! And very Comfortables! Hosts make it easy to feel at home in Kingfield. Thank you Tobins. Exactly as described. Cosy cabin in the woods. Doorstep access to woodland walks and snow trails, an abundance of wildlife outside your window and very easy access by car to the skiing at sugarloaf. Thank you Will for your review and the excellent shape you left our cabin. I hope you will consider our cabin for your next trip to the mountain. We really enjoyed our stay here. The property is meticulously maintained, rustic decor and extremely relaxing. The common area with the propane fireplace and vaulted ceilings was a great place to relax nightly. The view from the large windows to the back of the property is astounding with the running river and peak views, just beautiful. We also loved the close proximity to Kingfield center, with many shops and restaurants to enjoy. The ride to Sugarloaf was short - just over 15 minutes. There was a power outage during the visit due to some trees topping a power line - Roland was very communicative with us ensuring we knew how to run the propane stove and keep the place warm. We actually enjoyed the power outage! The bedrooms are sufficient for a family of 4-5. We have older children in their late teens - our 2 boys split the large bunk bed in one room and my wife and I split the larger lower bunk in the 2nd bedroom. Very comfy. There are a lot of things to do in the area, and we were absolutely charmed in our first visit to Sugarloaf - we all agree it is now our family favorite for skiing/snowboarding. We will revisit most certainly - highly recommended. Cell phone reception is difficult while in the house but ez enough to just pop outside where we had 3-4 bars most of the time, assuming the metal roof may affect reception. Thank-you Steve for the review. We are new to utilizing Home Away and Airbnb. Gail and I are pleased to hear that you enjoyed your stay in the cabin, that both of us put a great deal of time and resources into to make it a very special retreat. Thanks for leaving it clean. Please consider us for another trip to the Mountsin.